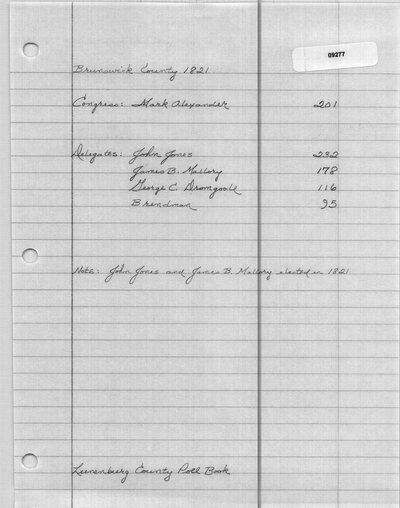 Lunenburg County Poll Book. Library of Virginia, Richmond. Richmond Enquirer (Richmond, VA). 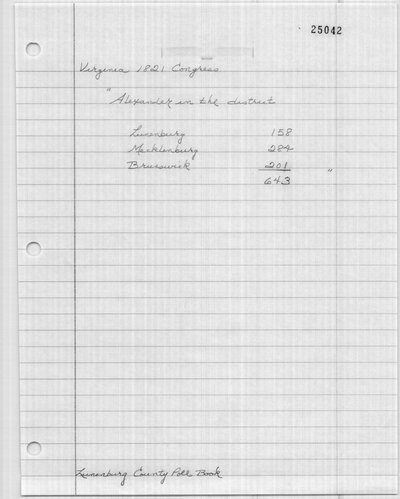 April 27, 1821.